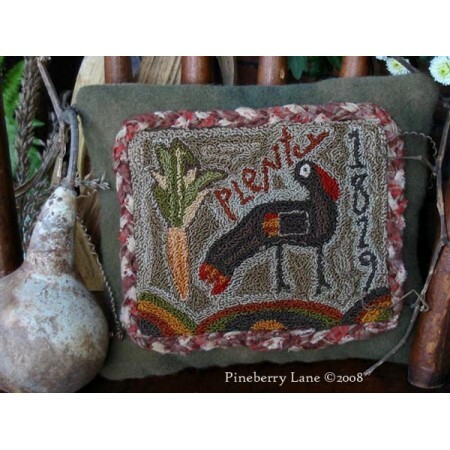 A fun design featuring a folky turkey, Indian corn, the word “Plenty” and “1829”. 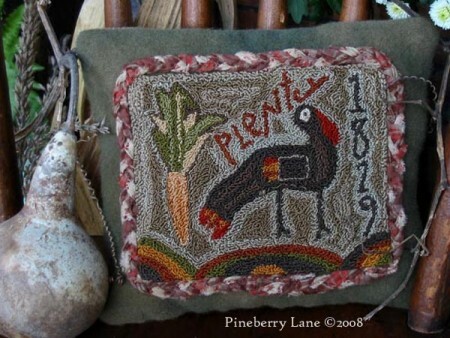 Stitched to a rag stuffed pillow of wool and encircled by a homespun braid, it is the perfect size to set in an old child’s chair. Pattern includes a full color photo, pattern template, aging techniques, & instructions for making this folky pillow. Basic needle punch skills necessary.